Today I’m here to bring you an important update regarding your Android device security. A report from Security Research Labs showed, that some smartphone manufacturer’s haven’t kept their phone’s operating systems up to date with Google’s latest security patches. The extent of the issue depends on the manufacturer, some skipped 1 update, some skipped up to a dozen. What’s problematic, is that customers were not made aware of the issues; usually the release date of the security patch is displayed in the Settings app, but some manufacturers went as far as fabricating that release date, thus, effectively deceiving customers about the security state of their device. 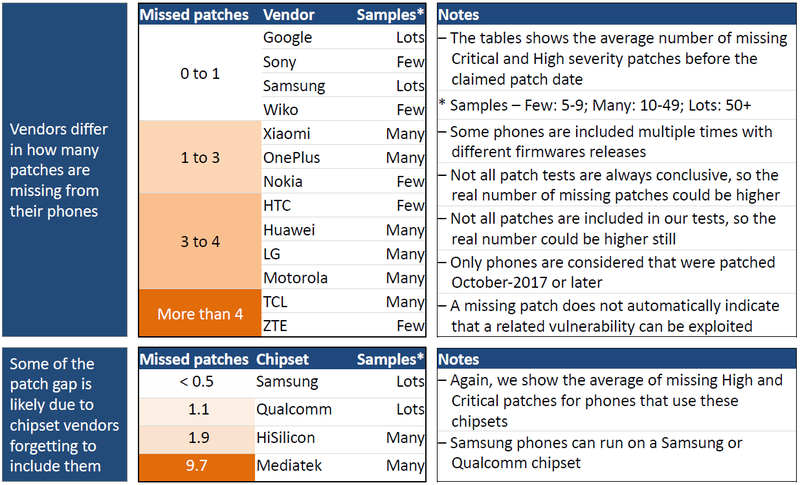 Keep in mind, that applying these security patches is something only the manufacturer can do. So, what can you personally do to protect your Android smart device? First of all, only install software from trusted sources, like “Google Play”, the “Galaxy Apps” store or the “Amazon Appstore”. Most vulnerabilities get exploited by rogue apps, so limiting your exposure to those uncertified apps will mostly keep you safe. Also, consider using your PC or Mac antivirus license for your Android phone, most security solutions offer their software for both computers and mobile devices. If you don’t have an Android antivirus, you can visit Anti-Virus4U.com, we offer a number of Android security solutions, like Bitdefender Mobile Security, or Kaspersky Mobile Antivirus.